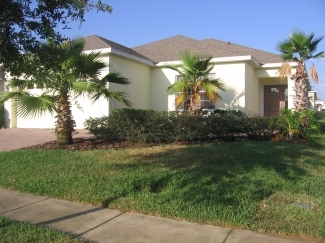 Welcome to our luxury 4 bedroom 2 bathroom villa located on the prestigious Highlands Reserve Golf Course Community. All our guests have access to our 18 hole par 72 golf course and driving range. 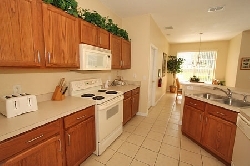 Walt Disney World is 15 minutes away and close to all other attractions. 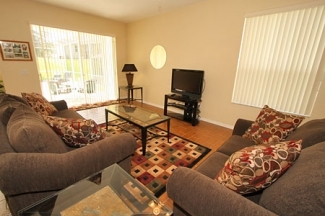 The lounge provides a comfortable place to get away from after a hard day out at the parks or at the golf course. It has 3 and 2 seater sofas 37" LCD cable TV and DVD. The lounge leads to sliding doors onto the pool and patio area. 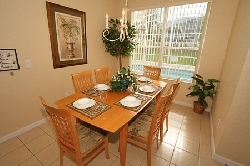 The dining area has table and chairs and looks out onto the pool area. The kitchen has everything that could make your stay as easy and enjoyable as possible contents include: oven/hob/fridge freezer/microwave/crockery/cutlery/cups/glasses/dishwasher. Bedroom 1 has a king size bed with 20" LCD cable TV and DVD and ensuite bathroom this bedroom looks out onto the pool area. Bedroom 2 has a queen size bed with 20" LCD cable TV. Bedroom 3 has two twin beds and a 20" LCD cable TV. Bedroom 4 has two twin beds and a 20" LCD cable TV. 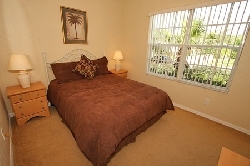 All bedrooms have built in wardrobes and there is a safe and hairdryers for guests to use. The pool is for the villas private use and is screened to keep out bugs and wildlife. Patio table,chairs and sunloungers can be found around the pool area.The pool can be heated at additional charge. The pool area is a great place for bbq's. 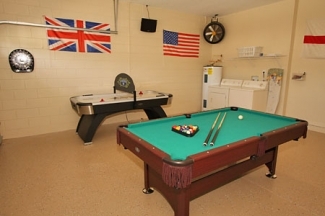 Lots of fun can be had in the games room for kids and adults alike, there is a pool table, air hockey table and darts board. Table stools and a 20" LCD cable TV TO watch.